Here are the great companies that currently help make the Stamford Innovation Center possible. Sikorsky Innovations is an agile, networked group of Sikorsky employees and industry teammates dedicated to demonstrating innovative technology solutions to the toughest problems in vertical flight. IBM is a global technology and innovation company headquartered in Armonk, NY and the largest technology and consulting employer in the world. IBM offers a wide range of technology and consulting services; a broad portfolio of middleware for collaboration, predictive analytics, software development and systems management; and the world’s most advanced servers and supercomputers. By offering flexible financing, strategic guidance and introductions to valuable partners, Connecticut Innovations enable promising businesses to thrive. Mission: to be the leading source of financing and ongoing support for Connecticut’s innovative, growing companies. With more than 160 attorneys in offices throughout Connecticut and in Washington, DC, Shipman & Goodwin serve the needs of local, regional, national and international clients. Our clients include public and private companies, institutions, government entities, non-profit organizations and individuals. 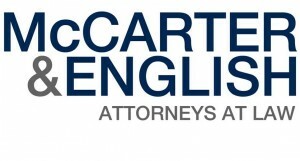 McCarter & English are honored to be the chosen law firm of clients ranging from Fortune 100 companies to mid-market and emerging growth companies to individual people. When our clients do great things, we are pleased to get the assist. Connect Computer is a premier Managed Services Provider and a full-service IT solutions company. Founded in 1985, CONNECT Computer provides everything from IT Help Desk support to innovative data center design. Customer satisfaction is of the utmost importance and we pride ourselves on client retention that is unparalleled in our industry. For peace of mind with all your IT needs, trust CONNECT! The road of entrepreneurship is never an easy one to take, but with a little help along the way, it might just make a difference in where you end up. CTNext is here not only to help you find your way to your destination, but also to make sure it’s the smoothest ride possible. Our statewide network connects promising companies to mentors, collaborative work spaces, universities, vendors, suppliers and other like-minded entrepreneurs to help facilitate the growth and scalability of their business. Rackspace manages your cloud, so you can manage your business. We think you deserve the best fit for your unique IT needs, across multi-tenant and single-tenant platforms, in your data center or ours. That’s what you get from Rackspace, a leader in hybrid cloud solutions. We back our managed cloud with an industry-leading 100% Network Uptime Guarantee. Our approach is designed to keep you up and running fast and lean.